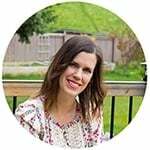 I always thought I was a sweet breakfast person…I love smoothies, or yogurt with fruit and granola, and I used to always start my day with a glass of cranberry juice (not anymore though). 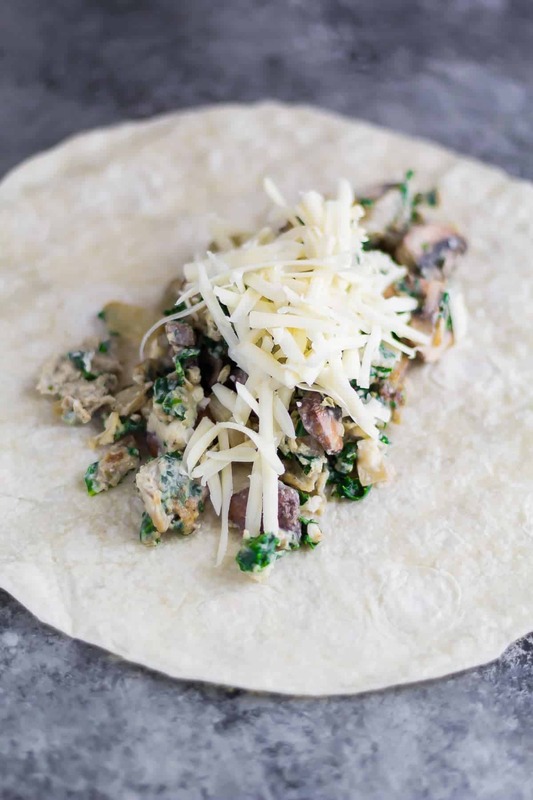 That was until these healthy breakfast burritos with kale, mushrooms and feta came into my life. Oh my goodness, I am 100% most definitely on team savory breakfast now! 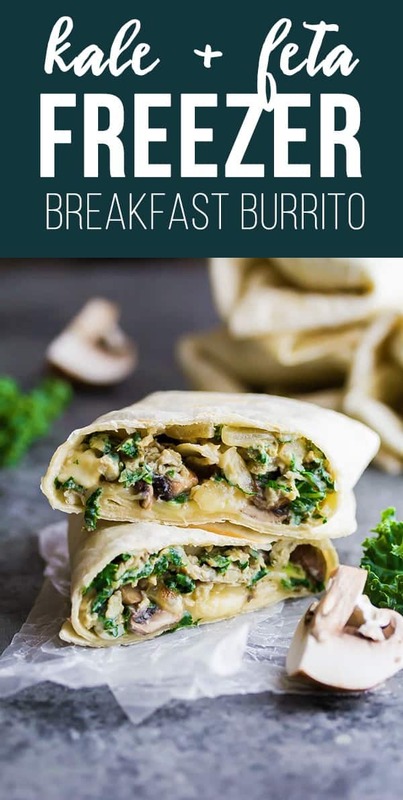 These breakfast burritos were voted the most popular recipe from our September Breakfast Prep Challenge, and it has taken me this long to share the recipe with you. Sorry! Since then I’ve made these 3-4 more times, and I even shot a video to show you how easy they are to make, and just how many healthy ingredients they contain (scroll to the bottom of the post). 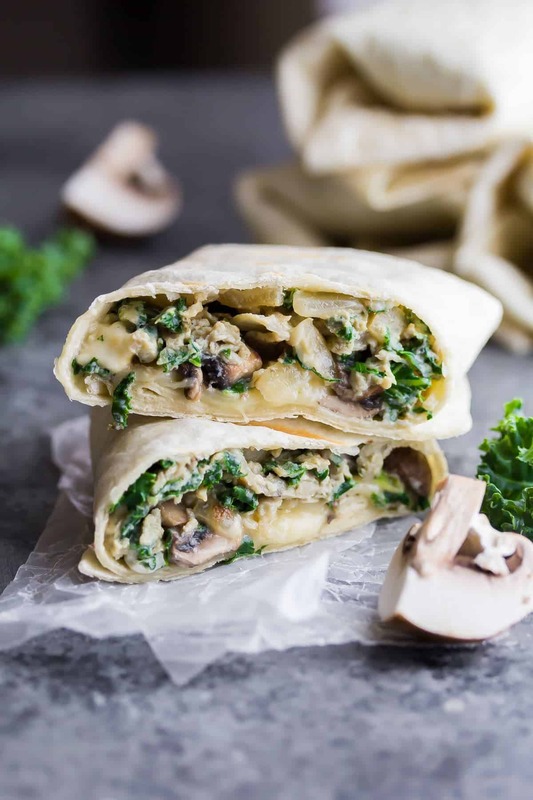 These breakfast burritos are the perfect blend of savory flavors: eggs + feta cheese + sauteed mushrooms, oh my goodness YES. The kale is there but not overpowering. You might even forget it’s in there! 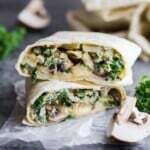 Other than the delicious savory flavors in these healthy breakfast burritos, I love the texture. I use my old school George Foreman grill to get them nice and crispy. If you don’t have one, you can use a frying pan or even a toaster oven. Not only are they delicious, but easily frozen so that you can always have a stash of healthy breakfast burritos at your fingertips. I like to pull mine out the night before to thaw in the fridge, but if you forget you can also thaw in the microwave in 30 second increments. If making healthier food choices is one of your goals for 2017, you are gonna love these guys! and these Broccoli Cheddar Breakfast Quesadillas are super tasty too! Heat oil over medium heat. Add the onion to the pan and cook for 5 or so minutes, until soft and translucent. Add the mushrooms to the pan, and cook for 3 more minutes, until soft and cooked through. Add the kale and cook for 2 more minutes, until soft and the kale is wilted. 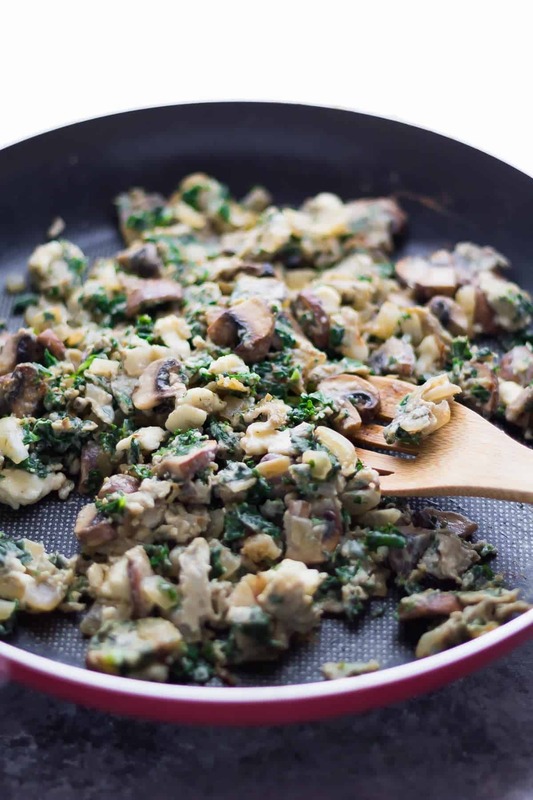 While the veggies are cooking, beat the eggs with the salt, pepper, and oregano. Add the eggs to the pan and cook for 3-4 more minutes, until the eggs are cooked through. Fold in the feta cheese and remove from heat and cool completely. Assemble the burritosSpread out ¾ cup of the *cooled* egg/veggie filling onto a 12-inch flour tortilla. Sprinkle with ¼ cup of shredded cheese. Roll up, sealing both ends, and wrap firmly in plastic wrap. Hi Denise! Thank you for all your hard work, I was wondering why the fat and cholesterol is so high in this dish? It’s worrisome and surprising considering the ingredients seem healthy. Hi Julia, I can double check the recipe…I use My Fitness Pal and sometimes the ingredients can be way off for certain macros/measurements and slip through my notice. I just double checked and the cholesterol comes from the eggs. The fat comes from the eggs, cheese and tortillas. You could scale back and just enjoy half a tortilla if these numbers bother you. Just made these. The filling really is delicious, and I bet it gets even better once the flavors have had a chance to meld. Thank you for posting this! The last 1 1/2 months we had sweet stuff for breakfast and I just can’t see it anymore! So now i really wanna try the Burritos. Is it frozen or fresh? Could you try to explain it in a different way… so i might know what to buy. Hi Giannina! What I mean is to press the kale firmly into your measuring cup, rather than loosely toss it in there. This measurement is for fresh kale, but I’ve also used frozen kale…I’d scale back a bit on the frozen kale since it’s already kind of compacted…maybe 1-1.5 cups? I hope that helps! Can’t wait to try this. Do you have a favorite brand of tortillas? Hi Kelly! I’ve tried pretty much every (flour) tortilla brand and they all work well! I did try an ancient grains variety once and they never got crispy so I would probably not use them again. Hope that helps! I don’t think I’ve eaten kale and thus, I’d never have it in the house. But I always have the frozen spinach balls, so could I substitute kale for the thawed spinach? Girl, I am loving these make ahead recipes. Keep ’em coming. Now THIS is a breakfast burrito I can wrap my head around! Basically you threw all my favorite things inside so I’m in! !